The students of Banaras Hindu University indulge in research work in various fields of law. The law school has its own journal to which foreign scholars also contribute. There are moot court events to help students polish their legal skills and presentation and research skills. This law school started the clinical legal services in association with six other universities. 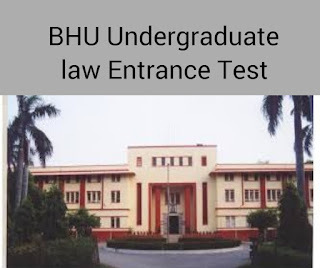 Banaras Hindu University conducts an entrance exam called UET or undergraduate Law entrance Exam for admission into its three year and five year law programme. The exam notification talks in detail about the university, the courses offered, minimum eligibility and duration of the courses. It also talks about number of seats, reservation, age limit, application forms and fee, important dates and test centres. This notification also talks about the details related to the admit card, documents required to be submitted, and counseling procedure. The first step is that the candidates have to register on the official portal of BHU. Once an applicant selects their course there will appear an application form which has to be filled only in the online format. The application fee will also be paid online. The fee can be paid using a debit or credit card, or in cash using a bank challan payable only at any HDFC branch. The fee for all categories except SC and ST is Rs 500 and for SC and ST it is Rs 250. First let us look at the eligibility criteria for admission to the five year BA.LLB course. Any student who has completed 10+2 or equivalent education from a recognized board, Indian or foreign university with a minimum score of 50% marks ( or 45% in case of OBC and 40% in case of SC and ST) can apply. Those who are going to sit for the 10+2 or equivalent exam can also apply and in the latter case the students have to submit their qualifying exam mark sheet at the time of counseling. Conditional admission to BHU will also be granted in case the mark sheet is not submitted at the time of counseling. But these students who have thus got conditional admission will need to still submit the said mark sheet at the stipulated time and date or their admission will be cancelled. Also, those students who have not obtained minimum qualifications after passing out from open universities are not eligible. Now let us look at the eligibility criteria for three year LLB Hons. Program. To be eligible to get admission into the three year LLB program one has to have completed his/her B.A. or B.Sc or B.Com degree or he/she has to have completed 10+2+3 years of education from a recognized university. Also, the candidate should have completed this education with a minimum score of 50%. The exam will be held offline or in the pen paper mode. The exam paper for three year LLB will consist of 150 objective questions of the multiple answer type and the total exam will be for 450 marks. The duration is 2 hours. The sections covered are General awareness and Current affairs, Common legal Knowledge, Aptitude and mental ability, and English comprehension. All five sections are for a maximum of 90 marks each. For every correct answer there are +3 marks and for every wrong answer, .33 mark will be deducted. Now let us look at the exam pattern of the entrance for the five year law program. The max marks are 450 and total exam duration is 2 hours. The exam is completely objective type and there are 3 marks for each correct answer and negative .33 mark for every wrong answer. The sections included are General awareness and current affairs, legal aptitude and mental ability. Following is the syllabus for different sections that are covered under the Law entrance exam. Constitution, Fundamental rights, and IPR. You could also get questions from Indian penal code, family law, labor law and contracts. Logical reasoning, series based questions, critical reasoning, and analogy. You could also get questions from modern maths, arithmetic, mensuration and commercial maths. Past year papers can be found on the following link and they will give you a fair idea of what you can expect in the exam paper. These sample papers are past year papers of BHU UET. The university will release admit cards prior to the exam and the same can be downloaded from the official website of the university. You can search for your admit card on the website by using your registration ID or the email id using which the account was created. Simply search and then click on the download button and then take a print out of the admit card. You must keep a copy of the admit card with you till the entire admission procedure is completed and up until the counseling takes place. Important point to note is that you will be notified that the admit cards are released via SMS and email so do remember to create a registration account with a valid phone number and email id. If there are only three days left for the law entrance Exam and you have not been able to download your admit card then you must contact the controller of examinations via phone or email. One must also contact the controller of examination in case of any error in the admit card. Students need to carry the admit card with them on the day of the exam or they will not be allowed to sit for the exam. Along with the admit card one also needs to carry a valid ID proof on the day of the exam. Following table illustrates important dates that you should mark for the 2018 BHU UET exam. The results will be announced online. The results will show the scores obtained by the applicants and then a merit list will be prepared according to the scores. Counseling will be held in the month of July 2018. You need to carry with you the following documents when you are going to attend the counseling session. Admission will be granted on the basis of document verification only. There are 230 seats for three year LLB course and 60 seats for BA.LLB five year program. There are 15% of seats reserved for SC candidates and 7.5 % seats reserved for scheduled tribe. 27% seats are reserved for OBC category not counting creamy layer students. Also, 3% seats are reserved for physically challenged candidates. Anyone who applies for this exam should not be more than 20 years of age as on July 1, 2018 for general category students. This age limit is 22 years for SC, ST and OBC candidates. Following is a list of test centres where the exam will be conducted in the pen paper mode or offline mode. This is all information you need to know before you appear for the BHU UET exam. Hope you got all answers you were looking for. Good luck! 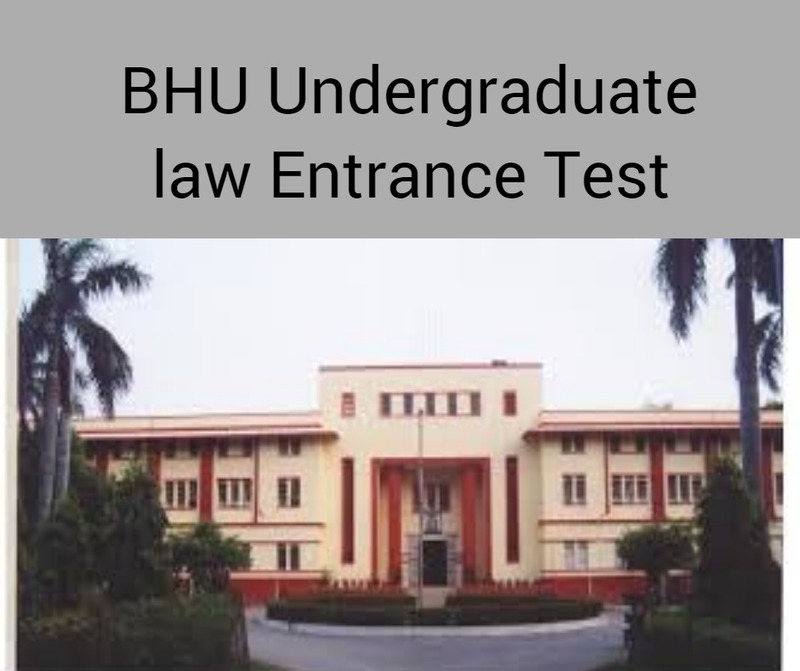 Read here the complete details about BHU Undergraduate law entrance Exam 2018.Know about Syllabus, Application form, eligibility and other details.